I’ve been on urgent business — toting MORE COWBELL about, writing and scheduling posts for THE MORE COWBELL CHRONICLES (Launching Monday, October 14th). 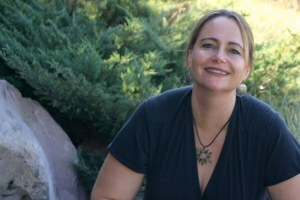 During this same time frame, my good buddy, Jessica Aspen, continued to produce and publish. She has four coming out this year. FOUR! A combination of Novellas and a Novel in her Twisted Fairy Tale genre. Color me tickled cobalt for Jessica. Color me tickled cobalt that my glob is a B-L-O-G today. It’s informative. It’s encouraging. It’s educational. It’s organized and well constructed. It’s everything The More Cowbell Chronicles will not be. I turn today’s post over to Jessica Aspen. Me? I’ll be living vicariously through her heroine in her recently released novel, The Dark Huntsman. I’m pleased, proud, and… over the moon about being your guest twice in a few weeks. Loved stopping by here in September for the cover reveal and now I’m even more excited to actually have the book out there. Yes, it’s here! My first full-length novel and it’s even available in print format! As you know this book has been one I’ve worked on for several years. I even had it tucked safely under the bed for a while and I thought it might stay there. But lo and behold twisted fairy tales hit the mainstream and I thought, “Damn! I have one of those under my bed. In fact there are several.” So I pulled out my hatbox, blew off the dust-bunnies, and sorted through the junk. And finally, on the very bottom, I discovered The Dark Huntsman, all written and ready for polishing. How do you decide it’s time to re-visit an old story? How did I reach the conclusion that after a year or two lurking under the bed this one merited one more look. That it wasn’t going to take so much effort that it wouldn’t be worth it? Well, like snowflakes, each story is different and some of them melt away without accumulation and some of them gather into a winter storm. The Dark Huntsman had all the right pieces to be worth pulling out from under the bed. Number One: The story must not take too much re-writing. In other words, if it’s quicker to write a new book it may not be worth resurrecting this one. The Dark Huntsman wasn’t actually my first attempt at writing romance. I’d dabbled before, but it was my first serious attempt, and it had seen several revisions with quality people. Quality people like… Gloria Richard! Yes, this was the story that I had hauled up the mountain with me to Margie Lawson’s famous (infamous?) retreat where the gals of WooHoo-U met and collaborated. And I’d entered it into the Golden Heart where, while it failed to final, it did receive several perfect scores. I guess you either like what I write or you don’t, and that leads me to number two. Number Two: The story must be special, not just because it’s your baby, but it must have that Je ne sais quois that makes it worth the work. It needs to be something that you not only love, but that others think deserves a second chance. I loved my baby, but did other people? Yes. Not only had it received nice scores in the Golden Heart, but it had also had some nice comments in other contests. But it had never quite garnered enough kudos to final in any of those contests. I’d sent it to agents and received back that they loved the concept, but it wasn’t quite there. This is the perfect scenario for a manuscript that could be re-visited. It had spark, it had something special, it had a twist. And with a little more work it would be ready for prime-time. Readers loved Logan’s alpha male attitude and the fantasy element gave it a rapid firing plot that moved quickly through the romance. Number Three: Is it timely? Is there a trend cycle happening? How did I know this was the right time for The Dark Huntsman? Well, because I had come up with the concept in 2008 for a romance between Snow White and the huntsman, not the prince. And suddenly fairy tales were everywhere, including two about Snow White (usually neglected in favor of Cinderella) and one of those featured the huntsman as a hero. Someone stole my idea!!! No, of course they didn’t. It’s been done before and it will be done again. All story-telling moves in cycles. This was this story’s cycle and if I didn’t hop up, and jump on, it would be over. And I’d be stuffing this book back under the bed. Just because I’d been twisting fairy tales for a long time, and just because I had already published Little Red Riding Wolf, and had Snow and the Seventh Wolf at my publishers, didn’t mean that there wasn’t room for another twisted fairy tale. There’s always room in a hot trend. And right now fairy tales are hot! So there you have it. My under-the-bed tale of how I decided to re-visit Logan, and Trina, and the Tales of the Black Court. And guess what? By re-visiting this book I was able to re-start book two, Prince By Blood and Bone (a twist of Beauty and the Beast). It needed way more work than this one, but that was another consideration when I looked at this series. It was a series, even if book two was barely half-a-draft. When I realize the amount of work I had stashed under the bed it’s a wonder I could sleep at all. Hmm, I haven’t twisted the Princess and the Pea story yet, maybe it’s time for that one! 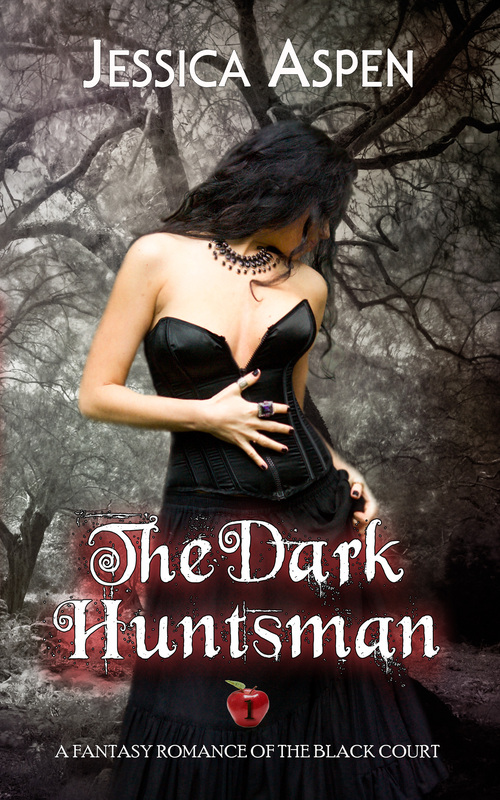 Enter the Goodreads Giveaway for one of ten PRINT copies of The Dark Huntsman. Contest closes October, 22nd, so click HERE and enter, today! Leave a comment. Please! You know how I love to play around in comments. And, don’t forget to click Linky-Love HERE for a chance to win one of ten free copies. I was here super early when I couldn’t sleep and wrote some smart, intelligent, comment (I’m sure it was intelligent because that’s the way I am at 3am) and WordPress would not let me post! Grrr! I’m sure it wasn’t because I said something snarky, no not me! Anyway, I’m back, it’s almost 7 and I’ve had coffee, so it’s sure to let me post now. Right? Your perseverance in both writing and getting blog comments to post will not go unrewarded. Love hearing the ‘manuscript under the bed’ stories. I don’t have one under the bed, but I do have a middle-grade on a memory stick. Somehow that doesn’t sound as enticing, does it? I still gasp when I look at that gorgeous cover, Jessica. I have two manuscripts playing with dust bunnies. Oh! Wait! That speaks to my lack of resolve in getting them rewritten. Congrats on the release. Amazing what you can find under the bed. I just went and checked under mine, and sadly there’s nothing there. Or maybe that’s a good thing? Either way, the premise sounds great and the cover looks fab; you’re sure to sell a million! Hope you’re working on a non-dust-bunny follow up to Paris Love Match. Loved it, and I’m using more dialog runs in mine as a result of reading (not copying!) yours. Thanks for the cover comment, it really is smashing! This book sounds so cool. I just might have to get this for my gal. ( and maybe take a peek inside it myself!) She loves all this type of stuff – fantasy, witches, vampires, etc. Congrats on the release. Only thing under our bed is extra storage. Phil! I know Jessica’s writing. I have read Jessica’s hot-and-steamy. You will require a hefty NYC brunch the day after your gal reads this one. IYKWIM. Look for a UPS shipment. If you have space for storage under your bed, I’ve got stuff I need to get out of the house. I read the book and I say: go get it now. Now. NOW. What are you waiting for? Click the amazon link and in a few seconds, enjoyment is yours. Hi Gloria. I have so many books around my bed I have to worry about tripping and breaking a leg if I jump up at night. Thanks for telling me about The Dark Huntsman. Looking forward to The More Cowbell Chronicles. Wishing you much success, Ms. Aspen! Thanks for introducing us to her work, Gloria.